For over 20 years the passionate, knowledgeable, and highly-trained flooring experts at Euro Timber Flooring have helped homes and businesses across Melbourne’s metropolitan area improve the standard and quality of their property’s interior space thanks to our eye-catching products. 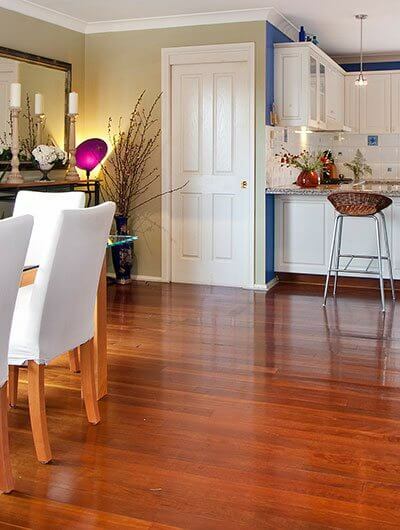 Utilising innovative methods and techniques, combined with durable and visually-appealing species of vibrant and durable timber, our flooring solutions have helped our customers in and around Bentleigh enhance the look and feel of their floors and interiors. Thanks to our passion and application of innovative and detailed design methods for timber flooring installation Melbournians from Ivanhoe, Hawthorn, Brighton, St Kilda, and elsewhere throughout the metropolitan area can trust us to accurately represent their interests. By working closely with both domestic and commercial customers we can ensure that our finished products meet both their tastes and design ambitions. Nothing on earth can naturally match the alluring and beautiful patterning and rich colours found in quality cut timber. At Euro Timber Flooring we endeavour to provide our clients with the best flooring solutions possible. Our innovative team members can use flawless cuts of timber to bring charm, taste, and beauty to domestic and commercial customers. From traditional timber flooring to distinct parquetry our customers can trust us to provide them with tasteful designs that last the test of time. From the moment you meet with one of our experts you will be treated with our famous level of care and support, ensuring that all of your needs and requirements are met for the highest level of satisfaction. To discuss the benefits of our approach to flooring Ivanhoe residents can call us today on 0415 110 099.